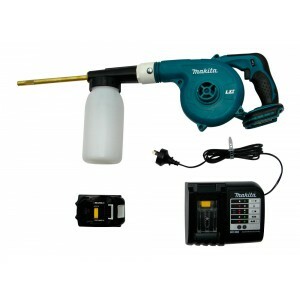 The Exacticide Insecticide Power Duster is a multifaceted pest eradication tool for the targeted and controlled aplication of pesticide dusts and granules. Exacticide is perfect for applying insecticidal dusts such as Coopex, Dragnet, Target, Permethrin D, PermForce, etc. 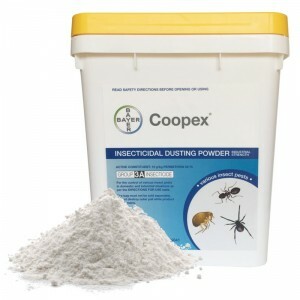 Exaciticide is also perfect for the application of fine insecticide granules. It is so versatile that you literally can do all of your jobs from start to finish with this one piece of equipment. 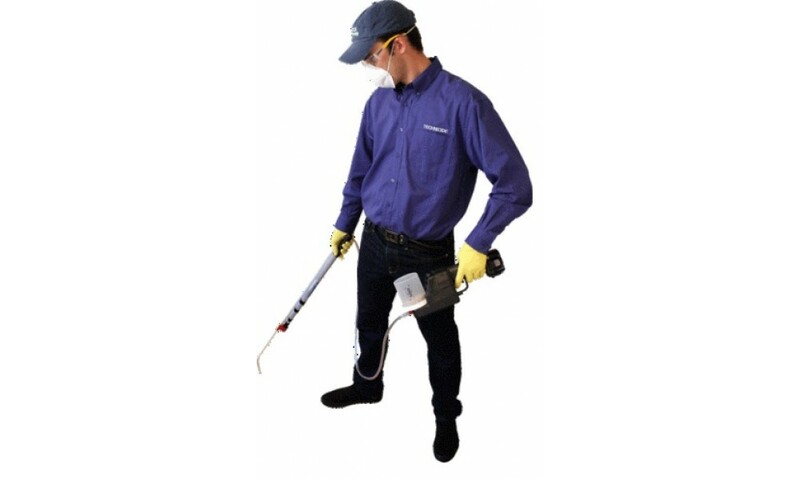 The Exacticide not only will provide you with the most effective way to eradicate pests, it will also increase your profit margin on every job. 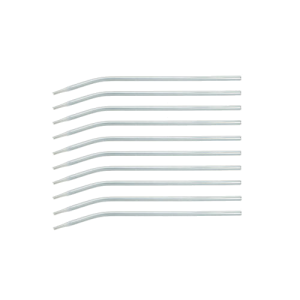 Its Proven Delivery System is ideal for interior and exterior applications. 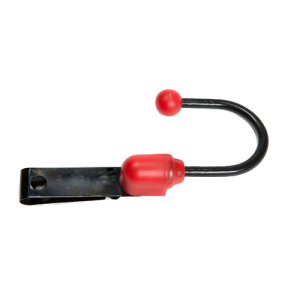 The Exacticide comes with a one-touch ON/OFF switch for exact product application. Its Durable Construction ensures daily use for many years to come. 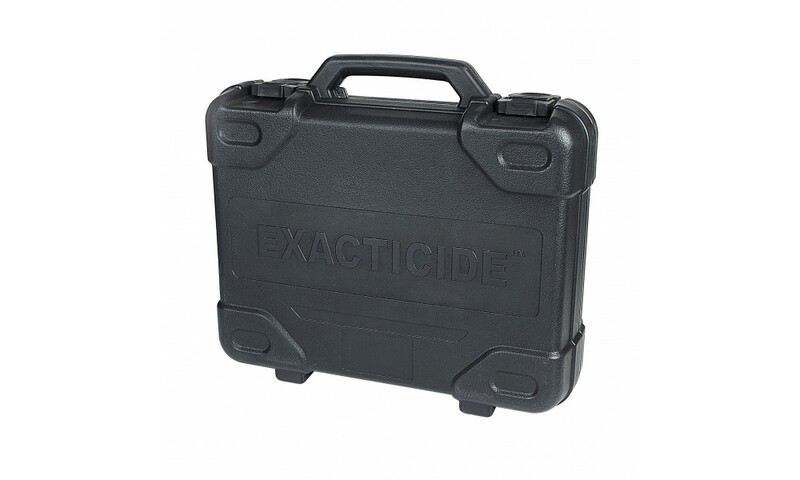 The Exacticide is competitively priced and ready to make your business more profitable. 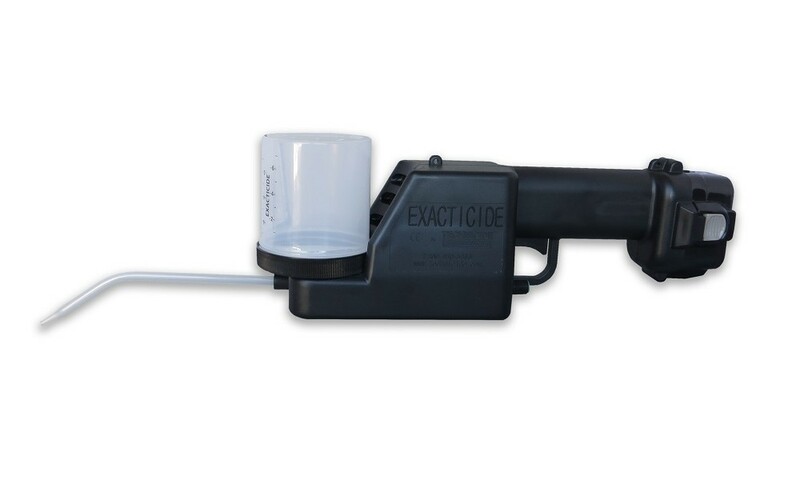 Exacticide users find that they complete jobs 70% faster and use 90% less dust! 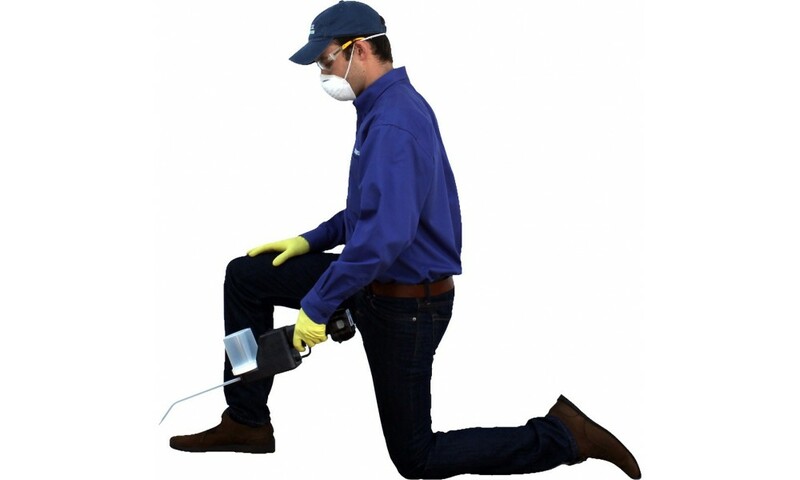 By applying a foundation of dust and fine granules efficiently and effectively with the Exacticide, your client will never experience another re-infestation. Whether the pests are cockroaches, bed bugs, termites, silverfish, ants, or others, you will need to leave an effective residual to prevent re-infestation. Dust and fine granules are the pivotal point in your pest protocol; from here, you can build your program. Many green programs begin with dust and fine granules, and then add heat, freeze, or steam systems. Remember for eradication and prevention, dust is a must. To dust like a pro, use the Exacticide. The Exacticide unit is perfect for bed bug jobs. It allows the user to easily and accurately apply dusts and powders, such as Bed Bug Killer, to all the nooks and crannies in the room. These include bed frames, headboards, bedside furniture, carpet edges, behind skirting boards, box springs, bed legs, picture frames, electrical sockets, etc. Inspect to determine the level of infestation and where the hot spots are located. If bed bugs are present move on to step two. Preparation: request that only bedding is removed and dried on high heat for 30 minutes. Leave everything else in place as not to disturb the harborage. Treat all hot spots with approved dust (non-repellent) and then work your way away from the hot spots, dusting all nooks and crannies to kill females that have moved away from the hot spots, as well as emerging nymphs. Be thorough. Apply the dust as fine as possible so that you do not create a film that bed bugs can detect and then avoid. Don’t forget these areas when dusting. Box springs, mattress, head board, bed frame members, night stands, dressers, furniture, carpet baseboards, behind pictures frames, mirrors, electrical outlets, and switches. There are a variety of detection devices, climb-ups, CO2 traps, and dogs. They can be very effective for pre and post treatment. Can I get replacement tips for the Exacticide? Yes they come in a pack of ten. Does the Exacticide come with any kind of warranty? Yes, it is 1 year parts and labor. Does the Exacticide put a static charge on Dust? Yes. 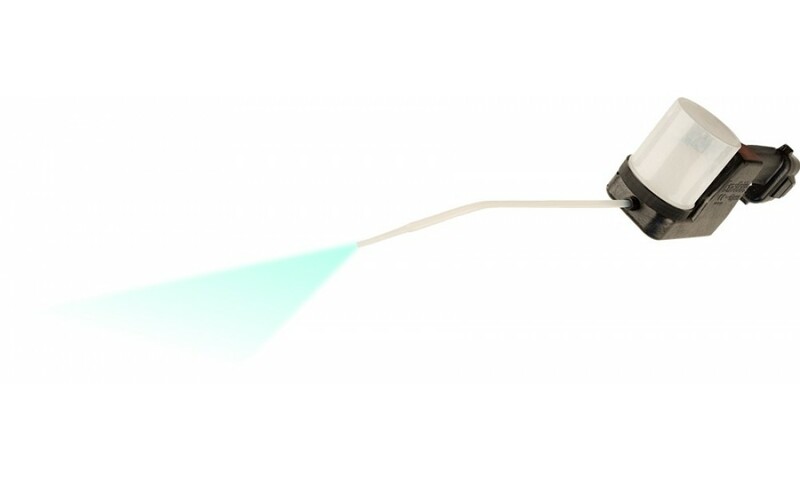 The Exacticide was designed to statically charge the dust to allow you to properly dust wall voids, cracks and crevices thoroughly with minimal application. This saves you money on pesticides. How does the Exacticide compare to other battery powered units? 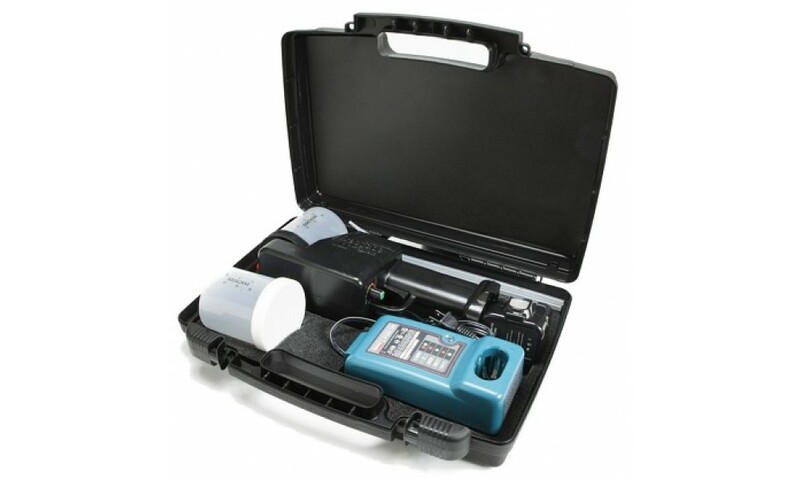 The truth is there is not another battery powered unit that is capable of applying dust and granules. Nor, is there another capable of blowing dust up a 30 foot bee pole. And there is no comparison when it comes to battery life. Nor is there a comparison when it comes to precision dust flow. How long will the battery pack last? 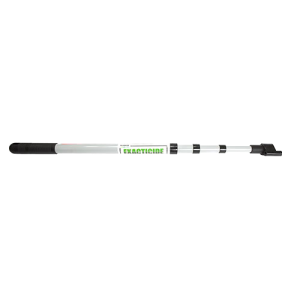 The Exacticide was designed to replace all other applicators therefore allowing an operator to make all inside and outside applications on every job all day long on one charge. The battery is rechargeable and requires only 50 minutes to get a full charge, and 15 minutes for a quick charge. I am a 55kg female, is the Exacticide light enough that I would want to carry it around all day? 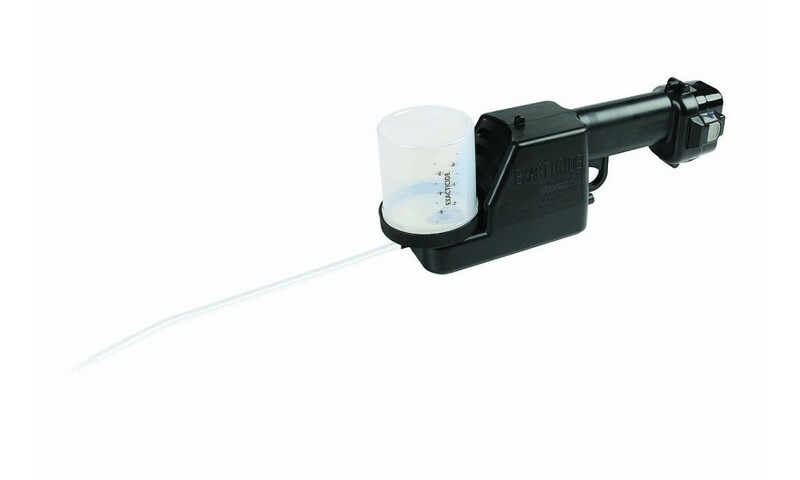 Yes, in fact it only weighs 1.4kg, and applications can be made holding the Exacticide down at your side while using the Extension tubes and hoses, this way there is no strain on your arm. Is the Exacticide suited for indoor use? 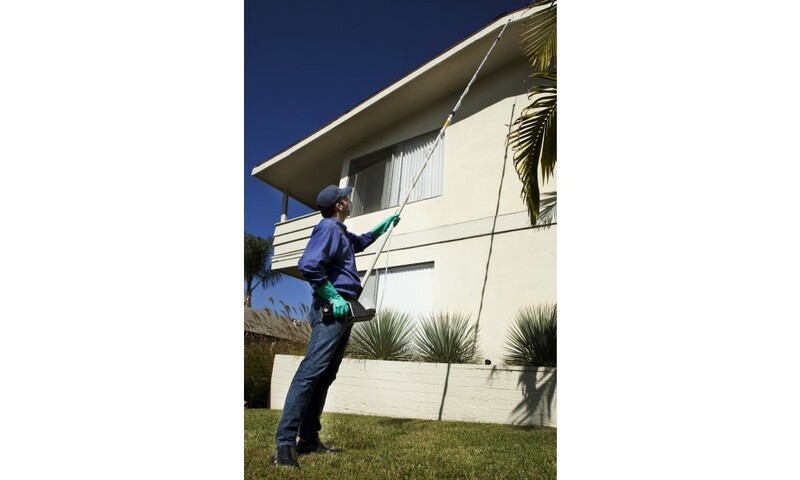 The Exacticide is suited for both indoor and outdoor use on residential or commercial properties. Because dust gives the longest residual, dust should be your first choice for most jobs. So the answer is YES for both residential and commercial work. Because of the precision control capability you can treat cracks and crevices as well as large voids without the worry of making a mess. All brands of Dust. Fine Granules can also be used in the Exacticide. No Liquids. Will the Exacticide clog up in humid areas? No. Because of the unique delivery system, clogging is not a concern. Clog ups may occur if the Exacticide isn't regularly cleaned out. Turn the Exacticide upside down and blow it out by squeezing the trigger after use. Also blow the Exacticide out with compressed air dry lubricant weekly. You stated that the Exacticide can apply both dust and granules, and all you have to do is change the canisters. How do you prevent one product contaminating the other? Before switching products turn the Exacticide so that the canister is inverted, the same way you installed it after you filled it. Direct the tip into a target site and squeeze the trigger. 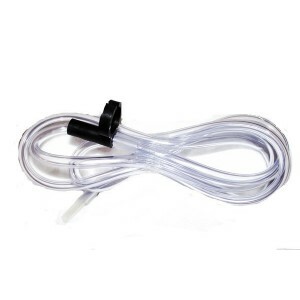 This will allow only air to go through the manifold clearing the product from the manifold and tip. For extra pre-caution before attaching the new canister of product you can wipe the canister receiver with a diposable rag.